Last evening, Councillor Cormac Devlin, Dún Laoghaire Rathdown Cathaoirleach, and several of his colleagues were in attendance at the launch of the club’s Five Year Vision and Strategy in the Fitzpatrick Castle Hotel, Killiney. Nicky Byrne of football, Westlife and ‘Dancing with the Stars’ fame ran a great show, much appreciated by the large audience. 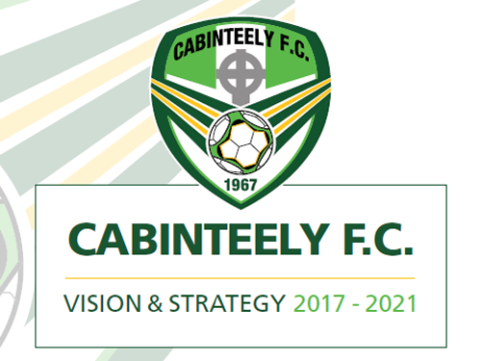 There’s a lot to digest in the summary action document (two pages wide) well presented and detailed during the evening by Senior Board Chairman Larry Bass, Junior Club Chairman Michael Galvin, Director of Football Pat Devlin and Fundraising Director Gill Waters. So do take your time to understand it all and please speak to any club officer about it and how you may be able to assist in achieving your club’s objectives. All input and assistance, no matter how small, will be most welcome and warmly appreciated. If you haven’t already found it, you can see a lot more about the evening on the club’s Twitter and Facebook pages. Only your input will make this vision and strategy come to deserved fruition!